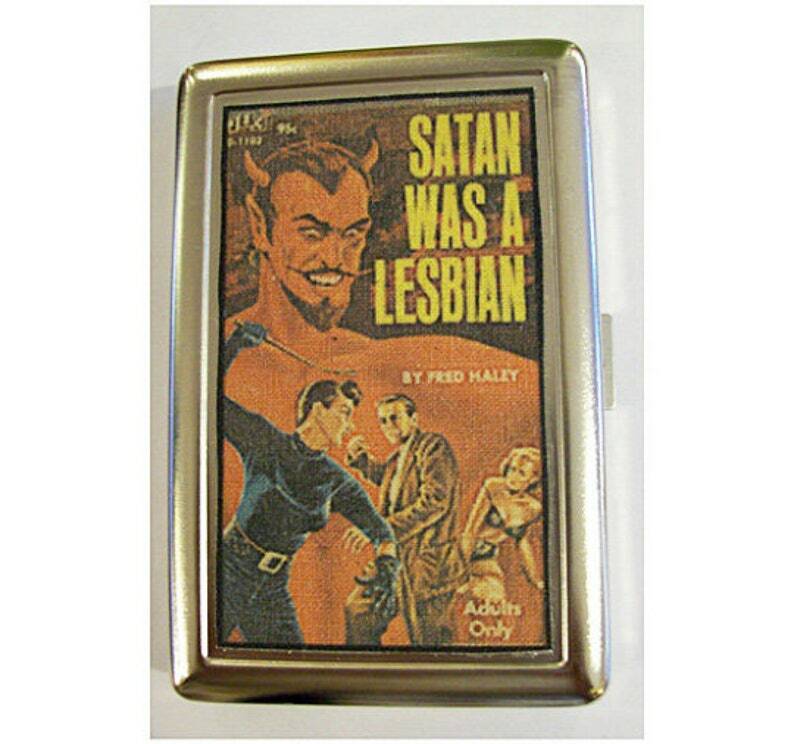 Ditch your old bulky billfold and go with this fab metal wallet case featuring an image taken from the golden age of lesbian pulp fiction paperback art. 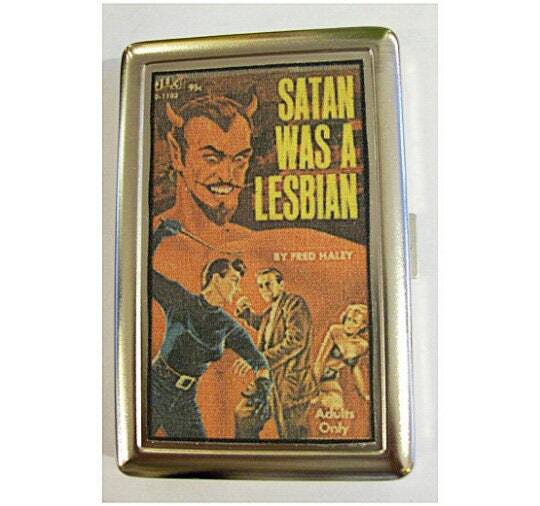 These little cases can also be used for business cards, IDs and of course for cigarettes. I make these by transferring the image onto lightweight canvas. I then apply the fabric to a brand new stainless steel case and after drying overnight it's good to go! For you case you will need to choose from one of the paperbacks shown in the 4th photo or the sample cue in the main picture. Please be sure to write me a note during checkout as to which image you would like. If no note is written I will assume that you would like the one in the main photo.